Live the example of Yeshua – Keep His commandments & walk in His power. Share personal Testimony of what God has done for you through Yeshua. If they are sick, in Yeshua’s name declare their healing while in front of them. Yeshua heals today, don't fret, smile and let Yeshua prove Himself to them. All you do is lay hands on and declare the healing in His name. Tell them how much God loves them that He sent Yeshua to bring them to Him. God takes them as they are, Yeshua paid for their sins – all they need to do is surrender to Yeshua. Proclaim the Truth. E.g. “It is written “Behold, I lay in Zion a stumbling stone and rock of offense, and whoever believes on Him (Yeshua) will not be put to shame” (Rom. 9:33). “Behold, I stand at the door, and knock: if any man hear my voice, and open the door, I will come in to him, and will sup with him, and he with me” (Rev. 3:20). Question their authority’s validity (Evolution, Mohammed, Joseph Smith, Buddha, etc. ), how do they define love, how they see woman relative to man, how do they see deformity, why do you believe them? How do you know they are right? Could they be wrong and why not? Use “If” questions to step over their objection. “If” Yeshua is Lord or the Bible is the only truth would you want to know? If God had a specific plan to Him would you want to know? Questions on foundation of meaning of life – Origin (where they come from), their Meaning of life (end goal of life), Ethics (how they govern right and wrong) & Destination (where they go when they die). Challenge their moral standards to God’s commandments – e.g. have they blasphemed God, dishonoured parents, lied, stolen, envied, etc. No one is good before God that’s the reason they need Yeshua – one who pays their debt. If there is God, would you want to know? If not, why- Is it because you know He is there? Have you asked God to show Himself to you in a way that only you would know? If not, what are you afraid of? If there was a future beyond death would you want to know and why? Has your source ever been wrong? If everyone in the world based their decisions on your source, could you live in that environment and why? Do you have inner peace or an inner void that you are trying to fill? What are you giving your life for and does it really matter? What is the meaning of life, and what is that based upon? If you were going to spend eternity with a group of people, how would you select them – would you give them your word and watch how they respond to it or ….? Are you a good person based on Gods’ standard? What are the chances that there is no Creator who put life together (0-100%)? If anything less than 100% why doubt - Is it that you believe there is a Creator? What more would God need to do to show you that Yeshua is the one to wash away your sins? 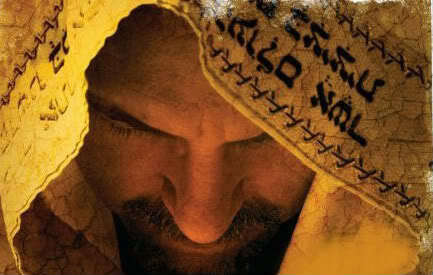 Do you actually know who Yeshua is and what He did for you? Do you understand the consequences for rejecting God? When you die one day, and stand before God, what would you say to Him - when He asks you why you have rejected His Son? Would you blame Him for not showing Himself physically to you? Blame Him for not making it clearer by spelling it out in a book? Challenge Him for His unfairness and suffering in this world (because you are more righteous and you know better)?